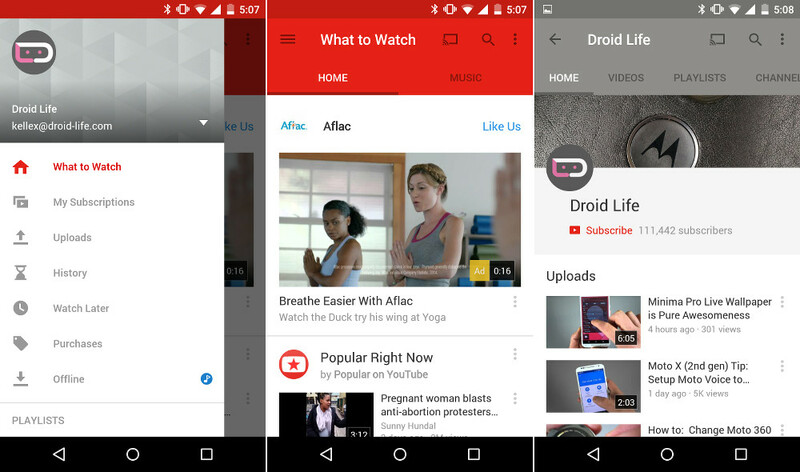 YouTube is the latest in Google’s suite of apps to be blessed with a Material Design makeover. The app was updated this afternoon with a fresh coat of intensely red paint, improved navigation panel, and updated colors throughout. We haven’t found much new in terms of functionality, so this may just be the update to bring the look of YouTube in line with the rest of Google’s apps (outside of Hangouts). The app is slowly rolling out through Google Play, as is the case with most Google apps these days, so if you don’t see it in your My Apps section with an update available, feel free to sideload it using the link below. Oh, and have you subscribed to us on YouTube yet? The DL channel is growing faster than ever. Subscribe here.